But jokes aside, I have also been intrigued as to what it takes to be Faiz saheb, to create that awe-inspiring persona? He has always been known to be a man of few words, and a very mellow temperament, yet his convictions stood strong and clear. How does one retain that composure in a chaotic and unjust world? A lot has been written about Faiz Saheb, and there isn’t much one can add to it. “His life is an open book,” says Salima Hashmi, his daughter. I met her in Lahore where she revisited her memories to give me an insight into the various facets of his personality. What follows is Faiz in Salima Hashmi’s words. He would humour the human idiosyncrasies. He did not believe in taking oneself too seriously. He took everything in his stride. His father was known to be very jovial, so it must be in his genes, I guess! An event was held in his honour in Sialkot, and, as a child, I accompanied him. The speakers were all praise for him and he sat there all along smoking a cigarette with a subtle smile glancing at me from time to time. On our way back I asked him, “Who were they talking about?” “Not me!” he replied. Whenever he visited London, he would stay at Zehra Nigah’s house. One day he was invited to dinner and Zehra apa said, “I’ve never interfered in anything, but tonight you should not go to this person’s house. He said nasty things about you.” He thought for a moment and said, “Why do you listen to nasty things?” and went to meet him, nonetheless. One day I decided to play a prank on him on April fool’s day. I wore my grandmother’s burqa and desguised myself as an old woman and sat in the living room. My mother (who was an accomplice in this prank) sent him to me by saying that there is a woman who insists on seeing you, please go and meet her. I started relating a tale of misery and asked him for help. He patiently listened to my sob story and left the room. After a few minutes he returned with a chequebook and asked, “What amount should I write?” At that point, I pulled away my veil, laughing. Sheikh Abdullah expressed his desire to see my father before his death. They had been very close on a personal level and he had even written the sehra on my parents’ wedding. My father sought permission to go to Kashmir. He was told that it was not advisable. So he politely declined. My mother and daughter however later went to pay their condolences on his demise. If he disagreed with something, he would give a disapproving look, but he did not believe in imposing himself. Saba Ahmad is daughter of the famous poet, Zia Jallandhari. 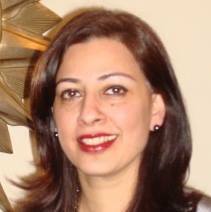 She holds double Masters in English Literature from Kinnaird College and MBA in Marketing. She has taught English Language and Literature. She has been involved with the performing arts all her life. She has an event management company. She has two very talented daughters and lives in Islamabad. What a finely written piece on Faiz. We know so little of him as a person, while he seems to know everything that goes on in our hearts and mind, and sometimes even more than what we are aware of. @ Bhupinder Singh, Thank you for the appreciation. My daughter is also called Saba, so many resonances, so many years later. Thank you. This is lovely.